Swift Built Trailers and Truck Beds are ranch ready and designed to make your job easier. High-quality standard features and popular options offer everything you need. 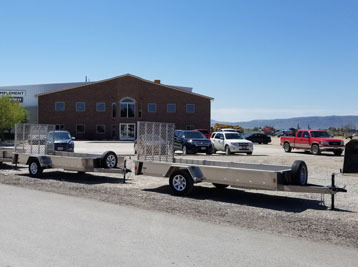 See our inventory in Tremonton or Logan Utah or Preston Idaho. View our current inventory online. See all options on the Swift Built Trailers website. Give us a call at 208-852-0430 for more information. 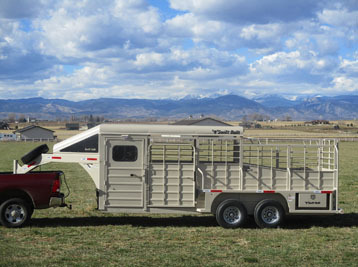 Swift-Built Stock Trailers offer a reliable way to haul livestock. You can depend on tough construction and great features. 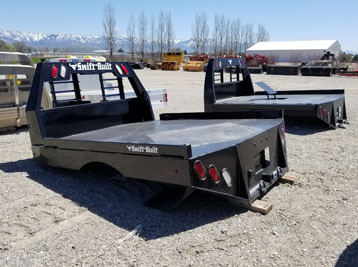 Swift Built Flatbed Trailers are built ranch tough to haul your farm equipment. Two hardworking truck bed models with fold down side rails and recessed gooseneck hitch with hinged lid.